A wealthy Turkish woman’s identity crisis – implications for us (Istanbul 2016; Oxford England 2000-2002): What’s it like to be Turkish? The only Muslim country secularized by law, separating religion from the state. What’s it like to live in contemporary Istanbul, a teaming, ancient city overlooking the Bosphorus Strait? A gateway between East and West, where religion and politics encompass and bump up against each other. Turkey has become such a hotbed for terrorism. I wanted to understand Turkey from a novelistic perspective. I went searching for Turkey through the eyes of its number one female author, Elif Shafak. Along the way, I found warnings for America. With a population around 15 million, Istanbul is Turkey’s largest city and the second largest in the world. 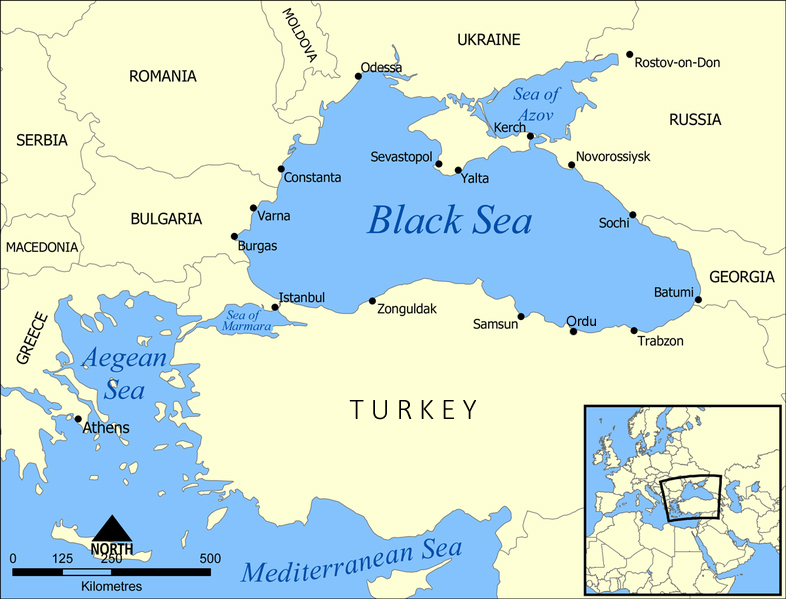 This city of “seven hills, two continents, three seas” (Black Sea, Sea of Marmara, Aegean Sea) is not only geographically at the crossroads, but its country globally pivotal. 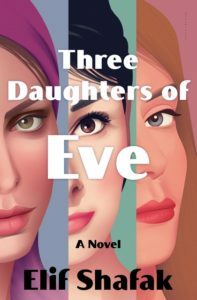 A Republic and its people important to get to know, making Three Daughters of Eve, the author’s tenth and newest novel (others also set in Istanbul), deserving attention. “It’s very tiring to be a Turk,” says Shafak. “It’s a very polarized, bitterly politicized country,” she goes on to explain. “As countries become more authoritarian, as they slide backwards the way we have been sliding backwards and tumble into nationalism, isolationism, or populism, I think the society also changes, not only the governments or the politicians but also the society.” Is Shafak talking about Turkey, or America? America 2017 is going through an identity crisis that feels as troubled, shaken up, and soul-searching as Shafak’s exquisitely torn, questing Istanbul protagonist Peri. Beautiful, thirty-five, well-to-do, and well-educated, yet what defines Peri the most is how unhappy and anxious she is, and has been for a very long time. To understand Peri’s sadness and disharmony, one must also have a sense of her country’s pathos and fissures, a long, complicated history that cannot possibly be achieved in a single work. 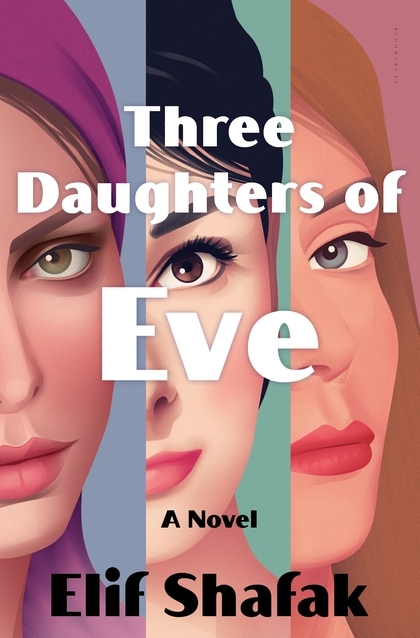 Three Daughters of Eve seems a fine place to start. Many statements will give you pause like this one by Peri’s secular, “freethinking,” brooding father Mensur: “What happened to my sweet country?” Veiled yet underpinning that pained question are similar sentiments Americans are asking themselves, whether they feel their country has been sweet to them or not. What is happening to America? We’re bewildered like Peri. One good thing about American politics 2017 is that it’s expanded and changed our reading tastes, as we try to grapple with what’s happening, or could happen. Shafak as a novelist, journalist, activist, and international speaker aims to do the same. Peri, temperamentally and situationally, is exceptionally serious for these are exceptionally serious times. Her deeply religious mother, Selma, attributes her differentness to being “an unusually intense and introverted person.” Nature versus Nurture? No, I don’t think so. Peri’s spiritual angst seems firmly rooted in having grown up in a perennially at-odds, acrimonious household. No love is shown between her pious mother and drinking father, and a terrifically disturbing, turning point event befalls one of her brothers, when she was an impressionable seven-year-old in the late eighties. Reflective of the Republic’s extremely powerful military and history of political coups, ugly military practices in the name of protecting the state that will send chills down your spine. Peri, and her family, are privy to only so much; the reader, intentionally, knows far more. Peri’s salvation, sustenance, and immersion in literature and scholarship fits her thirsting-for-guidance, solitary nature. She’s the spiritual, ethical voice posing the hard, far-reaching theological, philosophical, moral, and existential questions, seeking a place she belongs in her highly divisive world. In today’s Istanbul, that means she’s examining secularism over religion and other spiritual/mystical beliefs, nationalism, modernism, and capitalism amid a male-centric society, political volatilities, and senseless violence. Shafak’s Peri was made for the times. Elif Shafak’s prose resonates with feeling. In part because she subscribes to the freeing view that a storyteller should “write what you can feel” (not just what you know). Listen in to her passionate TED talk, the same passion you’ll find in her writing. So how do we feel about Peri? Turkey? First and foremost, that danger lurks. Danger that hits us in the opening sentence when respectable Peri realizes she’s “capable of killing someone.” Shafak quickly, informatively, skillfully unfolds a chaotic, dramatic street scene that confirms our feeling something is terribly amiss. Foreboding, it sets in motion something mysterious from Peri’s past, which drives the plot. It’s not until we’re more than halfway through do we put the pieces together. In that jarring opening scene, Peri gets stuck in what feels like the worst traffic jam in the world. She’s driving in her expensive Land Rover with her snippy teenage daughter, Deniz, en route to a lavish dinner party at a CEO’s mansion, where she’ll be meeting up with her “self-made,” much-older husband, Adnan, and others who’ve made something of themselves, likable or not. What takes place on that eerily named Mute Poet Street is an early indication of the concessions, anger, disillusionment, and uncertainties Peri’s bottled up for years. The national hero who established secular Turkey was Mustafa Kemal Atatürk, for whom the country was named, and whose democratic principles are part of a movement called Kemalism. Among the Istanbulites who worship him is Mensur, Peri’s father, whom she’s closest to, while her mother is preoccupied with praying, fasting, and cleaning, growing increasingly obsessive. It’s Mensur who consistently and wholeheartedly encourages and supports his daughter’s education. So when Peri makes a gargantuan cultural and emotional leap to attend Oxford University, it’s her traditional mother who strongly opposes. Suppression of intellectual freedoms comes through loud and clear, with damaging consequences. Shafak, not surprisingly, is an activist for women’s rights (among other causes.) She’s the Muslim feminist the inner Peri yearns to be, but feels constrained by her culture and experiences. As women in America 2017 are rising up, Shafak pushes buttons. The reader hopes at Oxford Peri finds a comfortable footing that encourages confidence and assertiveness when she becomes friends (though by happenstance not self-determination) with two very different Muslim women. Together, they compose the three daughters of the title’s name. One is British-Iranian, dubbed the “sinner;”the other, Egyptian-American, the “believer” – thus perpetuating Peri’s outsider status, drawing her to a seminar on God taught by a charismatic, controversial Professor Azur, loved and hated for his highly unorthodox teaching methods. The “God debate” is not only a course, it’s the soul of the novel. The author has smartly structured her thought-provoking novel to a pace similar to Anthony Doerr’s Pulitzer-Prize winning All the Light You Cannot See. Numbering more than sixty chapters, each just a couple of pages longer than Doerr’s. This works for the reader since a lot is packed in each. The unpacking makes for some challenging, broadening, and fascinating reading. Chapters swing back and forth between Istanbul and England, a bit like Shafak who currently lives in England and returns to Istanbul, her “motherland.” The Istanbul 2016 chapters alternate back and forth to Peri’s childhood years and to university days and trauma. As they do, events on the evening of 2016 progress and devolve. Unfinished Oxford years are strategically set right before and after 9/11. The God seminar is like a group therapy course, whereby students are pressed to shed their assumptions and prejudices, leaving them vulnerable. You’ll see how wrought with complications that turns out to be for Peri. Peri feels like she’s drifting, sinking in one of the seas surrounding her stressed city. If America 2017 has made you feel like that too – afloat, perhaps lost at sea – you will relate to Peri, profoundly. PS This looks like my last post of the year. Wishing you the comfort, love, peace, and happiness Peri struggles for. Lorraine, I’m glad to see you’re still reviewing books! I just sent you a message through the Contact Me link on this blog. Just wanted to make sure you see it.